It’s kind of funny how when you have something right in front of you, it’s taken for granted. And once it’s gone, it’s missed. This little phenomenon happened with the Toyota Supra, and when it was discontinued, N. Charlotte Toyota fans might as well have started a petition to bring it back. Although petitions weren’t done, the nostalgic buzz from the Supra finally paid off because it will make a comeback in 2020. This N. Charlotte Toyota was officially revealed at the Detroit Auto Show and did not disappoint fans. The design of the Toyota Supra is inspired by the concept FT-1 from 2014. It has a straight 6 engine, and a cockpit style interior. The arrival of the 2020 Supra is what fans are raving about and here at Toyota of N. Charlotte, we can’t wait to get this baby on our lot. While the 2020 Toyota Supra is on its way to our lot, let’s take a look back at the history of the old Supra. Before becoming the legendary Supra, it was originally a subset vehicle of the Celica known as the Toyota Celica Supra. It then became its own model in 1986 with the A70 and was reproduced for 4 generations before being discontinued in 2002. The Toyota Supra became famous for its Toyota 2000GT inspired straight 6 engine and sporty engineering. This sleek sporty look impressed N. Charlotte drivers along the streets and race track. However, during its lifetime, it wasn’t perceived as the one of a kind vehicle it’s considered today. In fact, in 1993 the N. Charlotte Supra’s 4th generation did not do well with an overall sale of 2,901 vehicles. Then in 1996, the Toyota Supra was mandatorily re-engineered due to a OBD (On-Board Diagnostic System) II system integration—driving the cost to an MSRP of $38,600 with only 852 Supras sold that year. It was officially discontinued in N. America in 1998 because of its decline in sales—despite its excellent performance specifications and positive reviews for its interior and technology. The production of the Toyota Supra was stopped indefinitely on 2002 in Japan because of the latest fuel-efficiency standards. 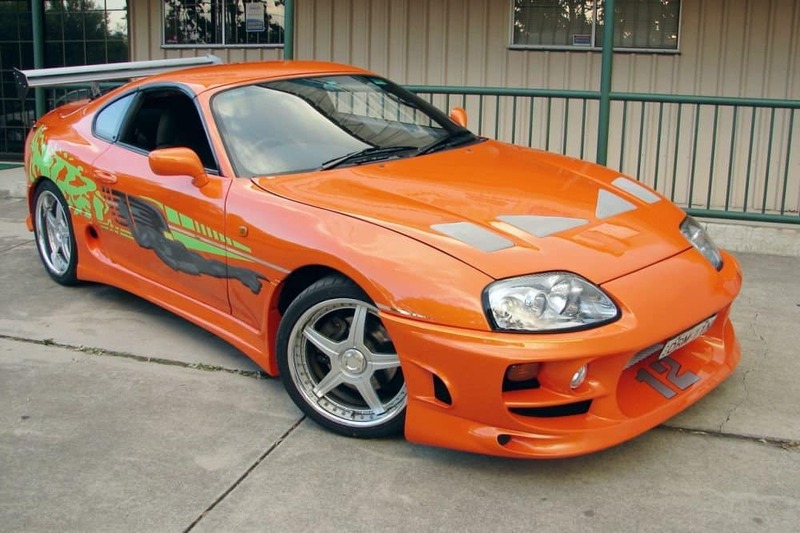 The Fast and the Furious (2001) is arguably the Toyota Supra’s hero. What may not have been intentionally used as product placement worked wonders for this N. Charlotte Toyota. This film featured a Supra equipped with its 2JZ-GTE engine. After being used as a street racing car in the film, people began to pay attention to the vehicle’s greatness. The 2JZ-GTE engine was then experimented on by mechanics and gear enthusiasts. Eventually it was recognized as having an engine so well built that a driver could reach 1,000 hp with only a few modifications to the engine. Eager to get your hands on the 2020 Toyota Supra? Check out our other sporty N. Charlotte Toyotas that you can test drive today! Toyota of N. Charlotte is open seven days a week and we’re located at 13429 Statesville Rd, exit 23 off of I-77 in Huntersville.